Many of us love to hike among the lush nature we have in Malaysia but if you are hiking in the vicinity of Muar, do be careful! 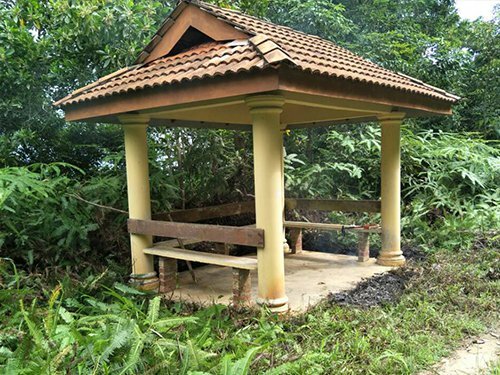 According to China Press, a frequent hiker who was hiking up Bukit Mor in Muar, Johor discovered a surprise hidden away near a gazebo when he was clearing the weeds around the area. 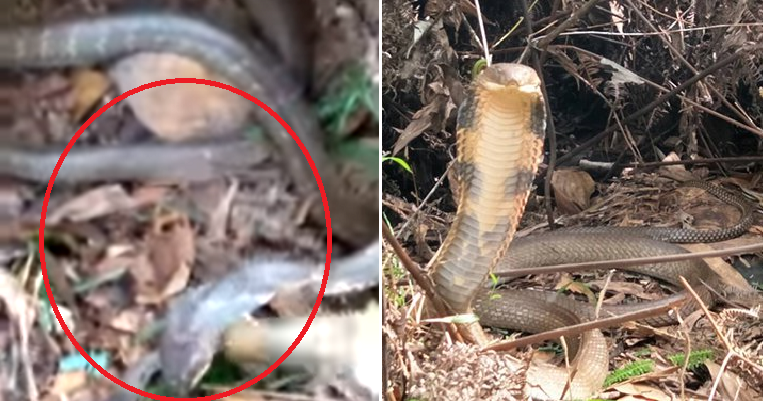 He must have disturbed a sleeping snake because to his surprise, he found an over 10-foot long king cobra lurking around the bushes. Scary! Tsai, the avid hiker who found the creature, said that he had volunteered to clean up the trail with a bunch of other hikers on January 2. As he was clearing the area around the gazebo, he heard some loud hissing and the king cobra appeared, ready to attack. 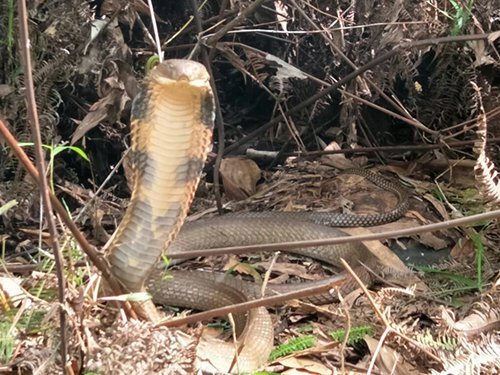 He said, “The king cobra was startled by our appearance and was very fierce as if it was defending something.” Tsai decided to take a short video and shared it with his hiking friends to remind them to be vigilant. 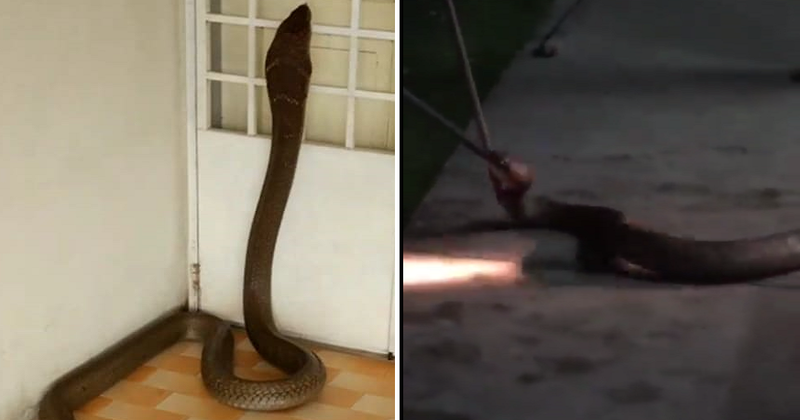 They thought that the snake would have been scared of by the disturbance but when another hiker went up Bukit Mor yesterday, they discovered that the snake was still there. The seasoned hikers deduced that the venomous snake must have built a nest in the grass nearby and was guarding her eggs. Don’t come between an animal and her offspring! 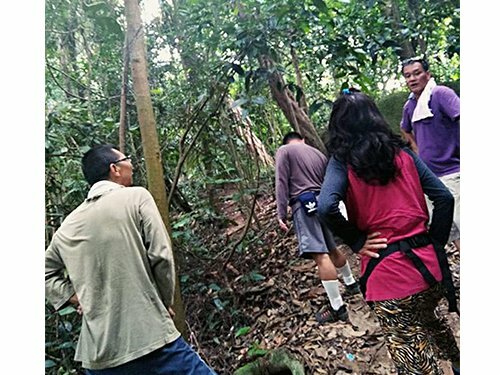 Tsai said that he hopes the video would be able to warn other hikers not to disturb the snake and be cautious when hiking as there might be dangerous creatures hiding in the bushes. In addition, he also urged hikers to be considerate and to leave the greenery in its natural state, which means they should not pollute the environment. Take note when you’re hiking in Muar and be careful, people!